Here at our retail store in Atlanta we carry a variety of locally sourced slabs from Atlantic Fine Woods just one town over in Decatur, GA. Similar to Highland, Atlantic Fine Woods is also family-owned, specifically by a brother/sister team made up of Joe and Laura Sissoko. The two of them and their sawmill were recently featured in an interview on WABE, Atlanta’s local NPR station, which you can listen to by clicking here. 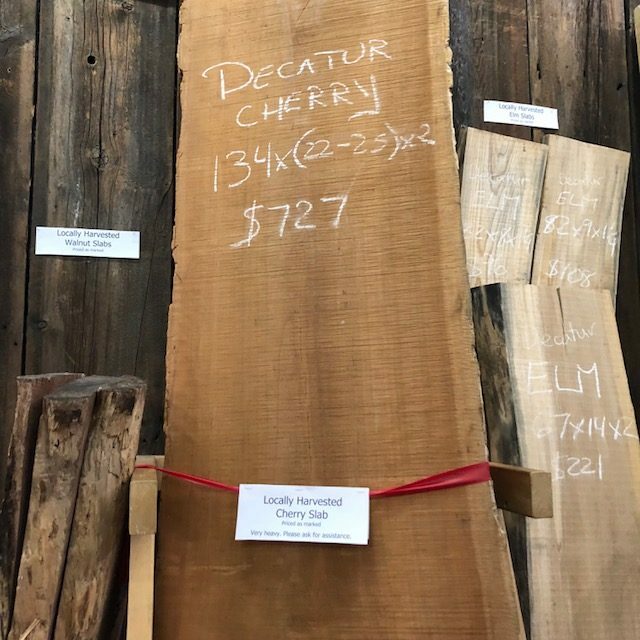 Unfortunately, we’re unable to ship the wooden slabs that we carry in-store, but if you’re ever in the Atlanta area, be sure to stop by Atlantic Fine Woods or Highland to see these beautiful slabs in person!